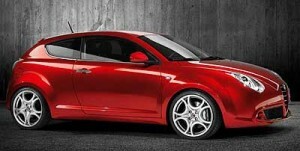 The Alfa Romeo MiTo is a 3 door hatchback super mini, similar in size to the Mini and Audi A1. If you are in the market for a small car why not treat yourself, you see all the reasons why people don’t buy Alfa’s do not apply to Mobility customers, The high insurance costs are not relevant, high depreciation does not matter as you are leasing the car and handing it back after 3 years and the perceived reliably issues are not a concern as you are fully covered. The MiTo is an Alfa Romeo so the car is designed to be sporty, the seats and suspension a little stiffer than a normal car, the Engine a little more noisy (but only in a sporty good way) and the general feel of a ‘race you off the lights / guilty pleasure’ kind of car. We love it in a kind of buying yourself a present way. Go on, you know you want to. 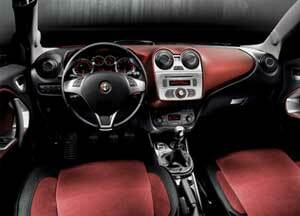 Alfa Romeo has tuned the 875cc TwinAir (two cylinder) engine that it shares with the Fiat 500 to produce 104bhp. The updated engine gives the MiTo more spring in its step around town, but more importantly, the addition of an extra ratio in the gearbox means the car is now that bit more refined at higher speeds, especially on motorways. The 0-62 time of 11.4 seconds does not do this poppy engine justice, but the claimed economy of 67.2 miles per gallon is totally unrealistic in the real world as the twin air is free revving and too much fun to not drive with a bit of a heavy right foot.